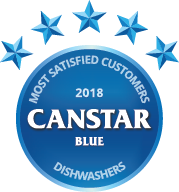 Compare dishwashers in New Zealand with Canstar Blue. 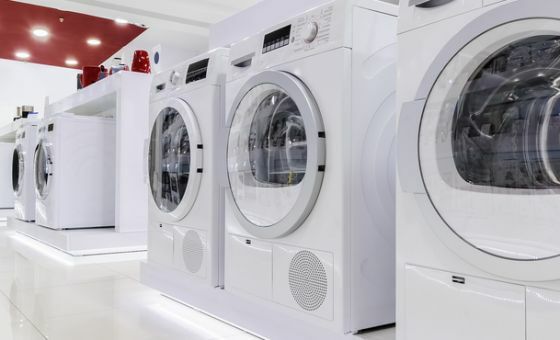 Bosch, Fisher & Paykel, Haier, LG, Samsung and Westinghouse were compared on value for money, performance, quietness, internal layout, ease of use, warranty and service, design and overall satisfaction. * Overall satisfaction is an individual rating and not a combined total of all ratings. By default, brands with equal overall satisfaction ratings are sorted by the mean overall satisfaction score as rated by consumers. Canstar Blue research finalised in July 2018, published in August 2018. Working with the philosophy ‘invented for life’, Bosch prides itself on the quality of its products. Who doesn’t love dishwashers right? We all love them, but when the time comes to buy a new one, it’s not always easy. There are under-counter dishwashers, drawer dishwashers, slimline dishwashers, benchtop dishwashers, it feels like one of those situations when you wish there was only one option to make life easier. So, to make the process a bit smoother, we have compiled a few pointers for you to consider when buying your dishwasher. Canstar Blue’s recent survey (July 2018) revealed what Kiwis want from their dishwashers and which brand they rate the best for overall satisfaction. For 2018, the brand judged by consumers to give the best overall satisfaction and winner of the Canstar Blue Most Satisfied Customers Award was Bosch. Bosch received a five-star rating in performance, quietness, internal layout, ease of use, warranty and service, design and overall satisfaction, and a respectable 4 stars in value for money. What does the eco-mode button do? Two in five people interviewed this year disclaimed they use the eco or low temperature setting when putting on a load. Is it just an aesthetic button or does it actually make a difference? It turns out, eco mode does indeed make a difference. In most dishwashers, this setting saves energy by taking longer to heat up the water and over a longer cycle. In fancier (read pricier!) dishwasher models, they can detect how dirty the water is and recycle water that isn’t too dirty to use again. 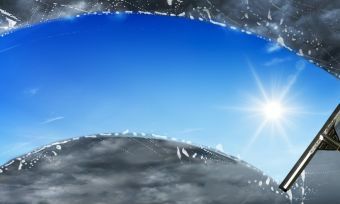 And yes, using the eco setting is worth doing if you’re not in a rush, because it could reduce energy use as much as 20%! 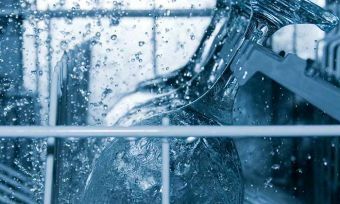 Dishwasher sceptics may be shocked to learn that washing a cycle of dishes by hand can use over 100 litres of water, especially if you leave the tap running. Whereas most of today’s modern dishwashers use south of 20 litres per cycle. If you don’t like a blender or toaster threatening your precious counter-space, you would have dreaded some of the old-fashioned dishwashers. They were roughly 50% bigger than a microwave… and they lived on the countertop! Your dishwasher can wash other things. If it doesn’t freak you out too much, your dishwasher can take care of items such as hats, toothbrushes, lunchboxes, potatoes and even jandals. Someone in the Canstar Blue office was once told they could even unscrew their toilet seat and wash that in the dishwasher too. Eww! What do consumers think are important qualities? Of everyone surveyed, over half said the energy rating was important to them when they bought their dishwasher. And so it should be, the minimum compliant dishwasher uses 467 kWh per year, whereas, more modern, economical dishwashers use more like 190 kWh per year which is a whole lot less! On top of that, as mentioned previously, over 40% of people use the eco or low temperature setting. As expected, value for money is a popular consideration but who doesn’t love a bargain? 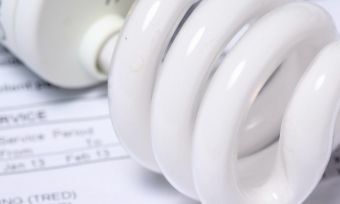 Although a very subjective matter, this year’s survey showed that consumers gave Westinghouse a five-star rating in value for money, Bosch and Haier four stars and Fisher & Paykel, LG and Samsung three stars. Warranty and service is another consideration. The last thing you want is for your dishwasher to break down and then being stung $150 call out charge just for someone to tell you what’s wrong with it. Most manufacturers offer standard warranty and service options when you buy a new dishwasher but it may also be worth enquiring what it costs to extend these beyond the initial period of cover. Do we still need to rinse our dishes? We all know someone who still insists that you rinse the dishes before they go in the dishwasher, and that someone may understandably be yourself! But you might be surprised to learn that it is most definitely not recommended. It turns out that rinsing your dishes before loading is actually making its job harder, rather than easier. Back in the day, rinsing was an absolutely essential if you wanted your dishes to come out cleaner than they went in. 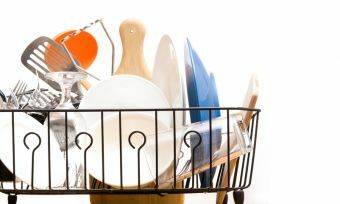 These days, thanks to advancements in the technology of both dishwashers and detergents, it’s much better to put your plates in the rack scraped but not rinsed. Basically, the enzymes in modern detergents ‘cling on’ to food particles left on plates and cutlery, if they’ve got nothing to cling onto, they can’t clean properly. You still need to scrap the leftovers off your plate as large chunks of food will block your filter and drain giving off a rather pungent aroma and can even lead to flooding. Which dishwasher is the one for me? Under-counter: These dishwashers tend to be the most common type and can come in various versions including fully integrated where they match up with your kitchen units. The advantage with these machines is that they tend to take a lot more dishes but the disadvantages are that you lose cupboard space. Fully plumbed or free standing models are also available with freestanding being more popular in countries where people take their white goods when they move (not so common in New Zealand). Drawer: Available as single or double drawers, these dishwashers tend to be the same width and depth as traditional machines. With double drawer models the obvious advantage is that you can start the drawers on individual washing cycles so can have one washing while you still fill the remaining one. Great for a busy household. Slimline: Perfect if you are short on space. A traditional sized dishwasher takes up a lot of valuable space in a small kitchen so a slimmer version is a great alternative. Obviously, you are more restricted to the number of dishes you can put in it, but as a result of its smaller size, it also uses less water and if the alternative is washing all of your dishes by hand, what’s not to like! Benchtop: Again, these are great if you are struggling for space as they sit on your bench top and usually connect straight to your kitchen tap. Whatever you decide, make sure you research and measure out the available space in your kitchen. With prices ranging from as little as $400 to over $8,000, you want to make sure you spend your money wisely. Canstar Blue commissioned I-view to survey 2,500 New Zealand consumers across a range of categories to measure and track customer satisfaction. The outcomes reported are the results from customers who have purchased and used a dishwasher in the last 3 years, in this case, 882 New Zealanders. If you’re looking to buy a new dishwasher, then make sure you consult our buying guide to learn everything you need to know before making your purchase. Our survey found that many Kiwis would like to buy eco-friendly products, but they don’t want to pay more than they have to.